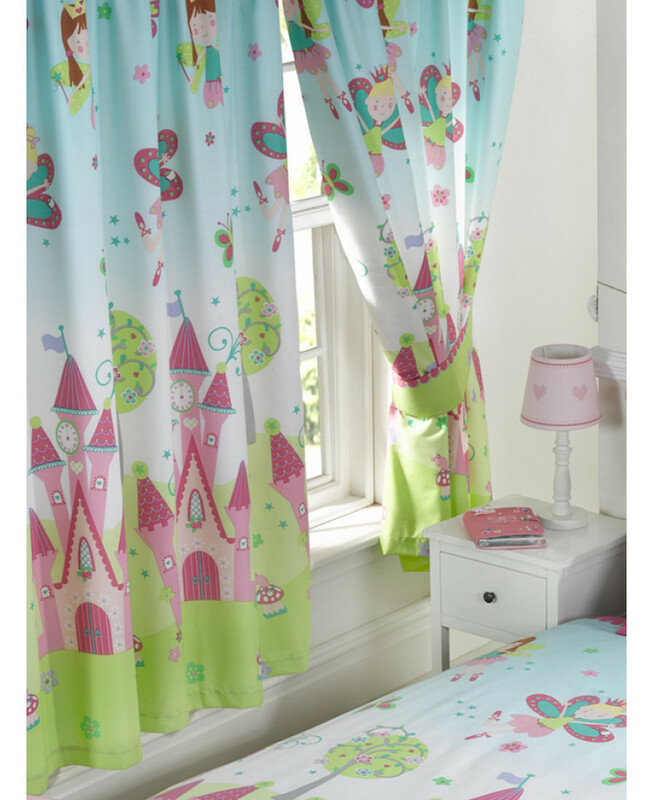 These adorable Princess Is Sleeping Curtains feature a collection of cute fairy princesses in their magical kingdom. The curtains are fully lined and come complete with tie backs and are also suitable for machine washing. 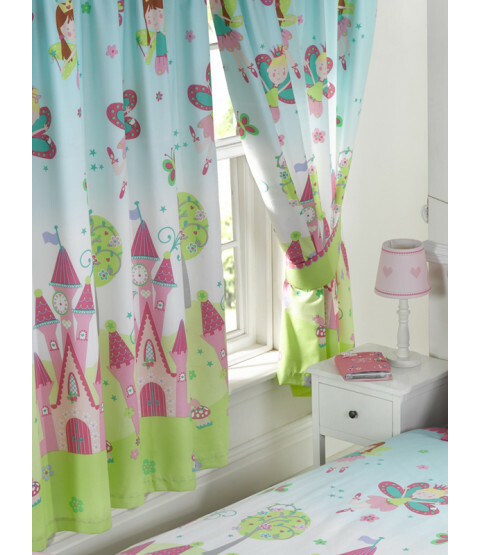 The design matches our exclusive Princess Is Sleeping junior, single and double duvet covers which are also available to purchase.